In yet another reminder that SpaceX plans to launch a massive rocket that’s essentially three Falcon 9 rockets strapped together, the Hawthorne-based company released an 18-second video today confirming a successful static fire test of a Falcon Heavy center core. The event took place last week at the company’s McGregor, Texas development facility. Last week’s static fire test has been eagerly anticipated for months, some fans even tracking potential core movement to and from SpaceX facilities, and further scoping out the test stand at the McGregor facility. So what’s next? With a successful static fire under its belt, a Falcon Heavy launch seems like it should be around the corner. Unfortunately, however, there’s still a damper lurking in the horizon due to the repair status of Space Launch Complex 40 after the launch pad anomaly in September 2016. At a media event in February, SpaceX President Gwynne Shotwell estimated that the repairs to SLC-40 would be complete in June this year. Once those repairs are complete and commercial launches return to SLC-40, further preparations will then need to be made to LC-39A, the pad currently being used in Florida, in order to support the demands of a Falcon Heavy launch. According to reddit chatter, a minimum of eight weeks will be necessary to finish the modifications. 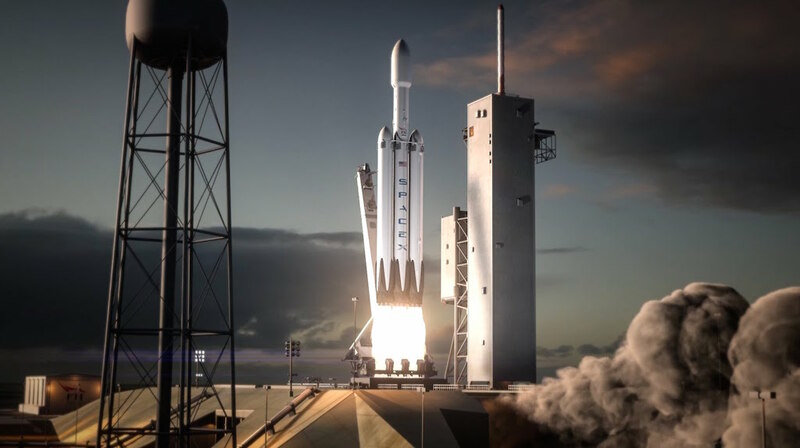 While it sounds like Falcon Heavy is still some ways off from launch, things are closer than ever to getting off the ground, and that’s definitely worth being excited about. Fun tidbit: SpaceX fans aren’t the only ones excited to see Falcon Heavy’s three cores land. Founder and CEO Elon Musk has previously tweeted his precise feelings on the matter. Speaking of static fires, Falcon 9 is still marching through its launch backlog with the next launch date set for May 15th, and the static fire scheduled for May 11th. The huge Inmarsat-5 payload means this flight will be done expendably, i.e., with no landing. It’s kind of a fun coincidence, though. Inmarsat-5 was originally supposed to fly on a Falcon Heavy, but instead will celebrate a successful mission around the same time frame of Falcon Heavy’s first static fire. Or maybe that’s just me.